Constellation Energy Corporation, a member of the Israel Chamber of Commerce of the Philippines (ICCP), is engaged in the production of clean and renewable energy. Together with its technical and financial partners, the company develops geothermal and hydroelectric energy projects, using state-of-the-art technology for electricity generation. It aims to introduce affordable renewable energy to Filipino households and industries. The growing global trend for clean energy has put a spotlight on the Philippines, given its resource-laden islands and vulnerability to climate change. Constellation Energy aims to tap into the country’s rich resource for renewable energy investments. Recent developments, including the Renewable Act of 2008, the shortage of energy production facilities, and unstable prices for non-renewable energy sources, have made the Philippines an attractive market in the renewable energy sector. Constellation Energy seeks to address the growing demand for energy facilities to support the needs of the Filipino people. 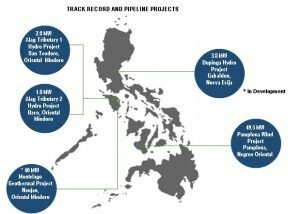 The company has some projects on the pipeline in Negros, Mindoro and Nueva Ecija. Each project is envisioned to be an independent power producer, generating electricity from natural resources and selling to the grid through electrical cooperatives, industrial consumers, or under the Philippine government’s Feed-in-Tariff system. The company provides technical consultancy, political and country risk management, and financial advisory in connection with the energy field in the Philippines. It is also looking at opportunities for oil and gas exploration and development. Constellation Energy Corporation is a subsidiary of Canada’s EnerAsia Renewable Corp. and maintains an office at the 9th Floor, Country Space 1 Building, 133 H.V. dela Costa St., Salcedo Village, Makati City. For more information about their projects and services, you may contact (632)-893-0330 or fax (632)-893-0337, or send them an email at [email protected].